It’s been almost three weeks since the surgery on my eye to remove a cataract. I thought it was time to give an update. My old good eye is now my bad eye, although still pretty darn good. The surgery went well and I can see ten-times better. On my first post-op visit two weeks ago I was complaining about a slight double vision in the surgical eye. The surgeon gave it a good look and then offered a scenario where, because of the higher than normal pressure in that eye, I was probably having some swelling along the incisions. This would have the affect of giving some visual aberrations that should go away as the swelling goes down. I think it’s safe to say she was right. Those doublings seem to have gone away. So now I have lens inserted into both eyes. The old surgery (cataract surgery in 2008 on the right eye) is still in great shape. She said there is a slight bit of fogging on the old lens, but that can be taken care of by burning it off with a laser. That’s something they would do if the vision hits 20-25 in that eye. I have one more post-op visit next month where they will do a full vision check and see if I need to be fitted for glasses. My distance vision is pretty darn good, but I need readers for computer work. The miracles of modern surgery! This entry was posted in Health and tagged Cataracts, Eyes, Healing, Health, postaday2011 on March 27, 2011 by Mickey Mills. That would be an awesome product. Head up to the corner drug store and pick up a bottle of Cataract-B-Gone drops in the eye care section and a week later you are seeing like a teenager again. Maybe in a few years, but today removal of cataracts requires minor outpatient surgery. When the parental units had their surgeries a few decades back it was a much tougher surgery that took much longer, and the recovery was measured in days, not hours. Today’s procedure usually takes less than an hour and vision improvement is usually immediate. Sanskrit manuscripts from the 5th century B.C. describe the earliest type of cataract surgery known as couching. In this procedure, the cataractous lens was displaced away from the pupil to lie in the vitreous cavity in the back of the eye. 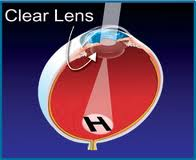 The displacement of the lens enabled the patient to see better. Vision, however, was still blurred due to the unavailability of corrective lenses. Recent excavations in Iraq, Greece and Egypt have uncovered bronze instruments that would have been used for cataract surgery. In 29 A.D., the practice of needling or discission was noted in De Medicinae. This technique breaks up the cataract into smaller particles, thereby facilitating their absorption. I bring all this up because tomorrow is my eye surgery. I’m headed to the VA today for a pre-op consult. Cataract surgery on Weirdo Wednesday. Today’s cataract surgery is routine and practically without risk. Everything you ever wanted to know about cataract removal is in this video. This entry was posted in Health and tagged Cataracts, Eyes, postaday2011, surgery on March 8, 2011 by Mickey Mills. Major electronics manufacturers are betting the farm on 3D as the next big technology breakthrough for the future of television. This despite study after study citing hazards such as severe eye strain, massive headaches, and queasiness to viewers. Makes you wonder what the manufacturer isn’t telling you, doesn’t it? Now I love gadgets as much as the next guy, but something else that can make me go blind is the last thing I need. 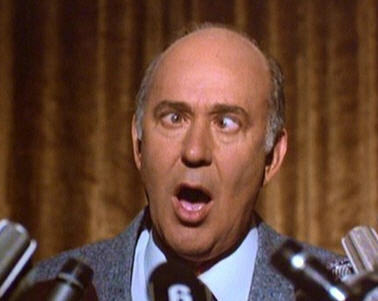 I’m reminded of the ‘Opti-Grab,’ the fictional invention of Navin R. Johnson in Steve Martin’s The Jerk. After making millions off his invention, it is discovered to have caused users of the product to become cross-eyed, resulting in millions of lawsuits. 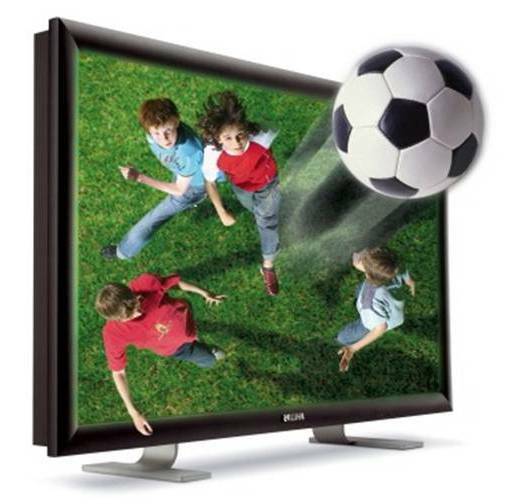 Is 3D TV the next Opti-Grab? And this. That’s all I need. The ashtray, the remote control, the paddle game, and this magazine, and the chair. [outside now] And I don’t need one other thing, except my dog. [dog growls at him] I don’t need my dog. This entry was posted in Health, Opinion and tagged Eye safety, Eyes, Health, postaday2011, Television on January 21, 2011 by Mickey Mills. It’s easy to take something as simple as seeing for granted – that is until you can’t. Many of you know that almost two years ago surgeons removed a cataract from my right eye. It was to a point where all I could see was a blur. The cataract was surgically removed and a permanent lens implant inserted underneath the cornea. Within days I was seeing better than I had in years. So now, two years later, the same issue has attacked the left eye. It’s going to be the same solution. I would like to get in sooner, but they are backed up about three months, so I am probably looking at sometime late March or early April. I’ll have to struggle along with it until then. The downside is the headaches that comes from spending screen time. I’ll just have to deal with that as it comes. On a side note, tomorrow I start a ‘liquid diet’ to get ready for The Event on Thursday. I’m looking forward to a short term weight loss in the ten pound range leading up to The Event. I have to check in at the VA this Thursday at noon for The Event. Until then, I’ll slowly starve myself and drink their vile solution. I’ll probably tell you more than you ever wanted to know about The Event. Until then it’s jello and grape juice – blech! This entry was posted in Health, Personal and tagged Cataracts, Colon Cancer, Eyes, Health, Musings on December 6, 2010 by Mickey Mills.